The front and back of the package. Instructions pamphlet included in the package. Instill 1 to 2 drops 3 to 6 times per day. The mouth of the Dropper. My boyfriend purchased this for me from http://ichibankao.com/. Their retail price including shipping is ¥1000 JPY. They accept Paypal payments, so the exchange rate is also done by Paypal. I'm really glad the bf bought this for me for Valentines! I've been using Visine for years and I honestly don't think they do anything for me. 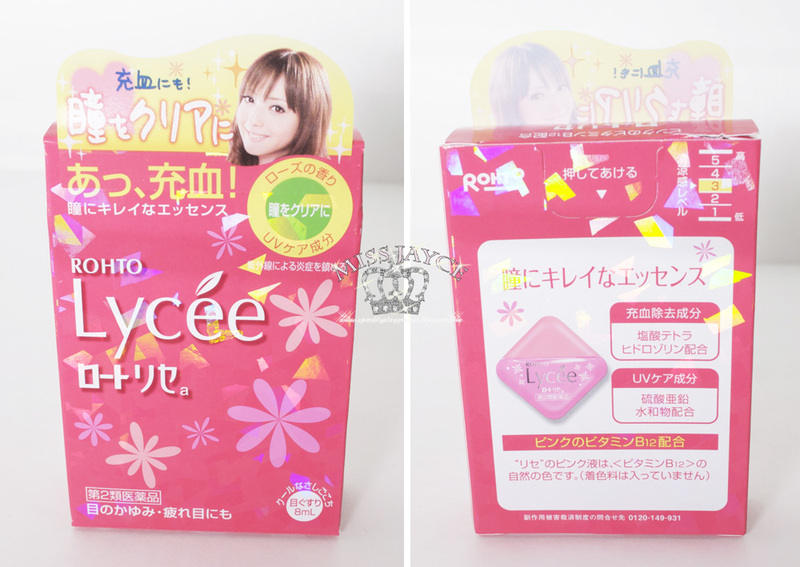 I kept seeing this at Pacific Mall and wanted to try it but it was retailing at about $14 - $16 so I always hesitated. The packaging is very pretty, it's PINK. It also has a lot of information on the box, some of them I can actually understand because its Kanji (very similar to Chinese). The Hot Pink colour is for Normal Eyes without Contact Lens while the Baby Pink is for Contact Lens Eyes. 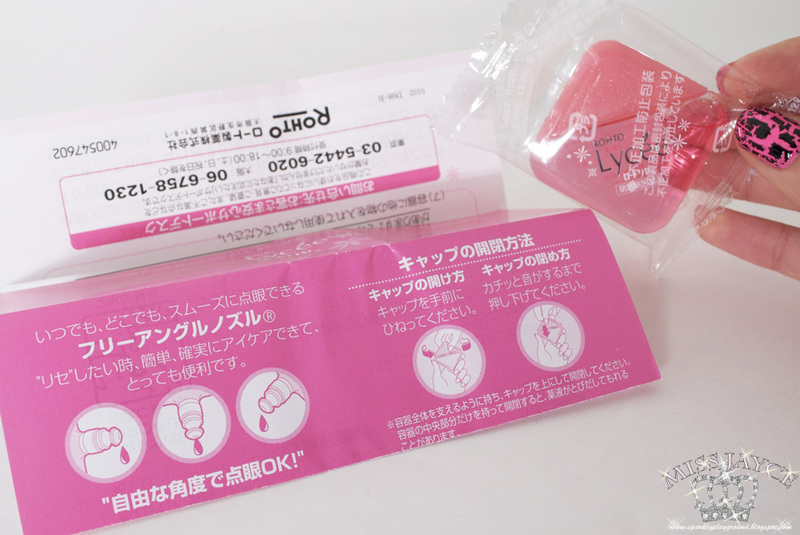 Inside the box, the eye dropper is wrapped inside a plaster wrapper and comes with an instruction sheet. I'm honestly quite surprised that the actually eye dropper is so small compared to the box. All this time, I was expecting the dropper to be relatively sized to the box. Note, this is before I realized that it was only 8ml. It was easy to turn the lid and dispense the product overall. It's practical and nothing too fancy. The liquid is actually pink just like you see in photos. Although the smell is not extremely noticeable but it really does smell like lychee (or rose-scented) which is super cool! I don't think any of the eye drops I've used before has a scent! I use this because I ALWAYS have tired eyes. I am extremely sleep deprived (all the time). The eye drop has really helped me ease off the red veins. I really like that, who enjoys pink eyes anyways? 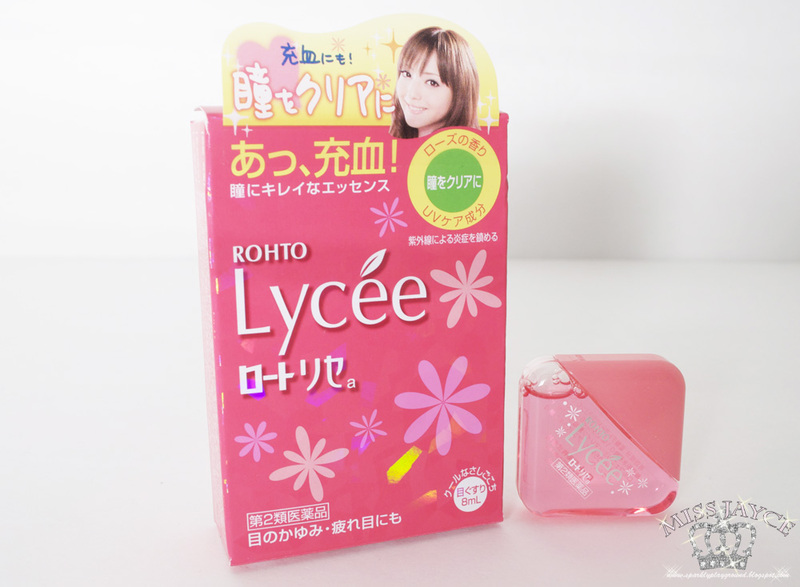 The product is from Japan but I think in the US, Rohto has regular eye drops there too. Except, they dont carry them in these cute packaging and the flavored ones. I don't think Canada has these at all except Pacific Mall. Price: 4/5 ♥ A little pricy especially for international customers. I think it retails for about $7USD in Asia.